As a naturopathic doctor, I am an expert in natural health. You may have a condition or disease, but that is not what I am treating – I’m treating you. The whole of you. Together we can optimize all aspects of your health so that your condition or complaints are no longer a factor in your life. It is my job to work with you to help you feel as youthful and vibrant as you ever have. In turn, we will naturally be preventing the chronic diseases that are rampant in our society, such as heart attacks, diabetes, obesity and cancer, just to name a few. Health is a life-long venture. It is not something you do now and then, or twice a year, it is a commitment to an ongoing process to reach the best state of health possible. I am passionate about what I do – let me be your guide, educator and motivator – together we will restore vitality through natural healthcare. Dr. Sacha Elliott is a naturopathic physician practicing in downtown Maple Ridge at the Selkirk Naturopathic Clinic in beautiful British Columbia, Canada. To learn more, click on the following links that will take you to meet Dr. Elliott, learn about the services she offers, and visit her health blog. If you have questions about naturopathic medicine, please visit the FAQ section or contact Dr. Elliott from our Contact page. If you’re a new patient, please read the information and download the applicable forms from the new patient page. 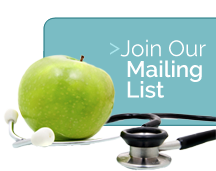 If you enjoy receiving free health information to keep you motivated in your health journey, sign up for Dr. Elliott’s seasonal health E-Newsletter for tips on all things health-related! 1.For the maintenance of good health, a high quality of life, and the prevention of illness. 2.You have a need for more natural approaches to your health concerns. 4.Your medical doctor is advising you to begin pharmaceutical medications and you’re feeling reluctant. 6.You want education on what you can do to get healthy and remain that way. 8.You have vague or peculiar symptoms – tired often, sick often, menopausal complaints, a suspected nutrient deficiency, etc. 9.You’re on medications that are causing problematic side effects, and you’re ready to find natural solutions (diet, lifestyle, herbs, supplements, acupuncture) to reducing or ending the meds. 10.The ever-growing list of health claims running rampant on the media and internet has your head spinning, in need of some professional clarity.